The framework will be made accessible for researchers, IRs and the medical industry to support the continuous update of relevant medical data, simulation models and personalized MICT protocols. There are several methods for image guided percutaneous minimally invasive cancer treatment (MICT) as for example radiofrequency ablation, microwave ablation, cryoablation or irreversible electroporation. These modalities have many commonalities as well as specific advantages and disadvantages and the choice of the best treatment is challenging as there is a lack of common guidelines for the use of these methods. 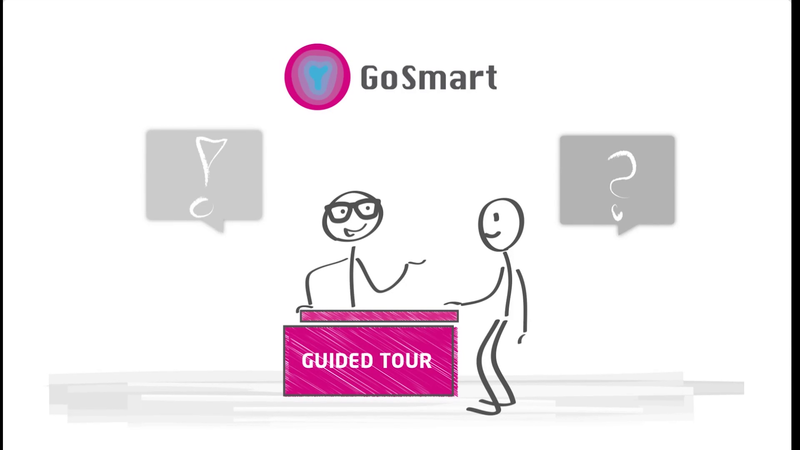 GoSmart assists the interventionalist in finding the optimal MICT modality for each patient as it allows to simulate each modality on the patient specific situation using the patient’s anonymized image data and other data from patient’s specific history. Relevant pretreatments to the target tumor as for example transarterial chemoembolization (TACE) can also be taken into account. Also within one modality several approaches like different needle positions, different equipment or different treatment protocols can be simulated thus indicating an excellent training effect for the interventionalist in planning his treatment. Furthermore the storage of simulation results of one specific modality or in comparison between different modalities in the database allows a structured scientific evaluation of the treatment results perspectively building the bridge to the establishment of common benchmarks and guidelines for the use of the different MICT modalities. The different MICT methods are applicable in several organs. 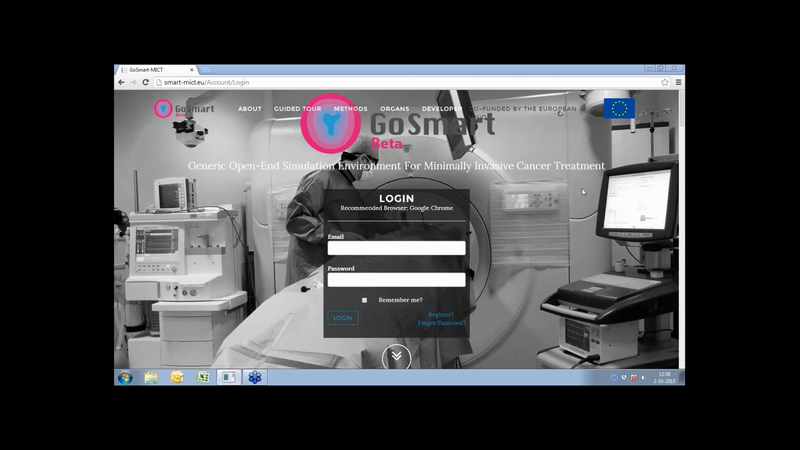 Within the GoSmart environment the user is able to simulate MICT in liver, lung and kidney by uploading the patient’s anonymized CT or MRI data and additionally entering data from the patient’s history as for example blood values relevant for the target organ. Automated algorithms create precise segmentations of the organ and vessel anatomy within few minutes. Afterwards the user segments target tumor either semiautomatic using a seed point based algorithm or manually per “point and click”. Whenever necessary each segmentation can be easily refined by the user. Multiple different image series of the target organ - even when acquired at different time points (e.g. preop image + image of the real needle position) - can be easily registered together by a simple point based method. In conclusion a precise 3D model of the target organ including anatomy and the tumor helps the interventionalist to optimally plan the patient’s specific MICT approach. Protocol: A set of algorithms that define a clinical process or, more generally, a series of functions varying based on global values (arguments, such as Time or Observed Temperature) and each supplying one parameter, termed the result (such as input power or needle tine extension). These are primarily intended to model a set of instructions from a manufacturer to a clinician on the use and adjustment of their equipment during the ablation procedure based on displayed sensor data. Power Generator: A piece of equipment, exactly one of which may be present in a procedure (not counting subsequent procedures based on simulation output). More generally, this may be any parameter set that may be uniquely applied to a procedure. Needle: A piece of equipment, of which none or many (with multiplicity) of an allowed subset of types may be used in a procedure. For example, a procedure may use any of four specific cryoablation needles (needle types), but this might be six physical needles of the same type. More generally, this may be any parameter set that can be applied in combination with similar parameter sets, possibly with multiplicity, to a single procedure. A many-to-many relationship between power generators and needles constrains the types of needle allowed in a simulation with a given power generator. Numerical Model: A solver to use for the simulation. This specifies required parameters by adding placeholders (below) and provides arguments, such as Time or Observed Impedance that may be used in protocol algorithms. Modality: A grouping of power generators, needles, protocols and numerical models that represents a particular ablation modality (type of MICT). All components must have the same modality to simulate together.